Advance Acoustics X-A160 High-end stereo hifi-audiophile power amplifier , 2 x 160 watts on 8 Ω,..
Advance Acoustics X-A220 Mono Power Amp High-end mono hifi- audiophile power amplifier , 1 x 220..
Advance Acoustics X-Preamp Analog and digital ( Burr Brown 24x192 kHz) high end stereo Hifi, aud..
Rotel RB 1552 MkII Stereo Power Amplifier Power output capability at 2 x 130 Watts. RB 1552 M..
Rotel RB 1572 Stereo Power Amplifier High Power capability at 2 x 250 Watts. RB 1572 This..
Rotel RB 1582 MkII Stereo Power Amplifier Power output capability at 2 x 200 Watts. 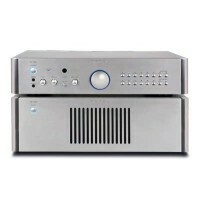 RB 1582 ..
Rotel RB 1590 Stereo Power Amplifier Power output capability at 2 x 350 Watts. RB 1590 Th..
Rotel RC 1570 Hi Fi Preamplifier Entryway into higher performing separate components RC..
Rotel RC 1590 Hi Fi Preamplifier For music enthusiasts who won’t accept compromise ..
Rotel RFK 20 Set Rack Ears Rack Ears Set RKB D850 Our RFK rack kit optimizes the use of r..